Welcome to our guide to one of the most visible and important facets of the UK online casino world – the casino bonus! With very few exceptions, the main selling point of a casino site, the thing that is the headline in all of their advertising is a generous looking welcome bonus. This is usually a sum of money offered to players as a “free” bonus, also known as free casino money. Beyond that, you may well find free spins included in a welcome bonus. And once you’ve signed up, your casino site will probably offer you an ongoing programme of online casino bonuses of various sorts. These promotions can change often and may be regionally limited. They may include deposit bonuses, free spins, no deposit casino bonuses, free games, tournaments, and loyalty programmes that include bonuses for staying around and spending at a particular site. Bonuses are great. There’s no debate that they do offer something to players. However, every bonus (almost every bonus perhaps) comes with a long list of terms and conditions that limit how you can use the bonus – which games you can play, how long you have to use it when you can withdraw it. These terms are in the link that you – if you’re typical – almost never click, and in the text there that you never read. Don’t worry, not reading those terms won’t do you too much harm. And collecting a bonus that you don’t understand won’t do you any harm either. Or it is unlikely to. But, by understanding UK casino bonuses you’ll get a more rewarding experience out of your casino interaction. Does Anyone Give You Free Casino Money? Casinos are sold on the idea of getting rich. The reality is that the people who get rich are not the ones that the publicity suggests are going to get rich – the customers. The people who are far more likely to get rich are the casino site owners. We don’t want to overstate this. Casinos – licensed, regulated casinos – are fair. Their games are checked to see that they produce a genuinely random outcome. Players do have a fair chance of winning each time they play. And they could win a very large sum of money. However, that is very, very unlikely. The figures that matter in a casino set up are all favour of the casino. These are businesses and they need to make a profit. They make a profit from players spending. So while events are random, they are random within a framework that delivers a profit. The algorithms do not lie. If you ever click on slot’s pay-table or help guide or read a review you’ll see a figure called the RTP. This is the theoretical return to player, and it is the amount that a game will return to players over its lifetime. These figures tend to be around 95 – 96% at the moment, which gives a “house edge” (to give it another commonly used name) of around 5%. That’s the casino’s profit, and it is always there, in all games, all the time. An individual player might win big. But the expectation of mathematics is that they will deliver that small profit to the site. This might seem irrelevant to the subject of casino bonuses, but it is important to remember that casinos are profit-making businesses in the same way that a shop, a restaurant or a garage is a profit-making business. Think about the businesses in those categories that you use. And now try to think of how many of these businesses give you free money. So bear this in mind when you see a casino appearing to offer you free money. A business that gives potential customers money will go out of business very quickly. This is how you should look at a casino bonus. The casino is in charge of this transaction, so it is designed to benefit the casino. A large, fast-moving competitive market does give consumers some degree of power – they can, after all, click elsewhere to find another casino site, which is probably offering a bonus on extremely similar terms. But most of the power in this relationship is with the casino. So you should consider why a casino would make this offer to you, what it brings to the casino site, and how it benefits them as you assess an online casino bonus. We’re covering no deposit welcome bonuses first because they’re very rare. As you’ll see as we go through the restrictions around bonuses that require players to deposit at a site, a bonus is designed to get you to commit to a site for a while by putting a load of limits on your play. No deposit casino bonuses are very likely to have even more and even stricter restrictions. Limits on gameplay and betting will be very onerous, and there is sometimes a requirement to spend your own money at the site before you can withdraw any money you win with no-deposit bonuses. Free spins are much more common than bonus funds when it comes to no-deposit bonuses. Both are good news for players if players are players who have read this guide and have a realistic expectation of how to get the most out of their bonuses! If you think it’s free cash that’s going to make you rich you are 99% guaranteed (not 100% you notice) to end up disappointed. Here’s an example of a current no deposit bonus and the stringent terms come with it. As you can see the small print is really small! But it breaks down like this: The maximum ‘conversion’ as they call it (which is the biggest amount of real money you can win from this bonus) is £20. This may not seem like a lot but at the end of the day it’s free money so £20 is better than £0 in that respect! The wagering requirements (also known as playthrough requirements) are unusually high for a bonus, again this is because it is free money and you don’t have to put any money in yourself to claim it. So the requirements are 100X the bonus, which in this case is £5. That works out as £500 worth of wagers. When you consider that 50x deposit+bonus is fairly common these days 100x is actually not that bad in comparison because there is no deposit to play through either, it’s purely the £5 no deposit bonus. Another restriction is that only three slot games will count towards the wagering requirement: Shamrock ‘n Roll, Mayan Marvels and Candy Swap. You are free to play other games but they won’t count towards your bonus wagering. The only other requirement is SMS validation – they’ll send you a txt message to make sure you’re not abusing the bonus by claiming it multiple times, not too much to ask really. As you can see the requirements are stringent but this is free money at the end of the day and there is literally nothing to lose by trying out a no deposit bonus. The first thing you’ll see at the typical casino site in 2019 is the welcome offer. These are usually written in three ways – a percentage, a sum of money, or a number of free spins. You’ll also see these three ways of expressing a bonus combined. The most popular is the percentage. And the most common percentage at the moment is 100%. And why not? Nothing looks better than 100%. That means that if you deposit a sum at the casino, the casino will put the same amount of money into your “bonus account”. And this is where things start to get complicated, because “bonus” money and actual money are not equal, as we’ll discover in this guide. These bonuses are often called “cash match” bonuses. You may also see this expressed as a cash amount, but that’s generally just a different way of presenting the figure in order to make it look even better: “deposit £10 play with £20” for example would be another way of writing a cash match or 100% welcome bonus. This headline figure might well include some free spins too. Usually, these come in multiples of 10, and they will often be on a specific game, more often than not one of the top titles of the moment – as we write this in February 2019, Starburst is one of the most popular titles for welcome bonus free spins. They don’t even want my money! One of the strangest restrictions is the ruling out of payment methods and localities from bonus systems. The legislation is part of the picture, as bonuses aren’t considered fair or safe in all countries. UK players are usually included in bonuses but do take the trouble to check the list of restricted territories not just for the whole site but for a particular bonus you might be interested in. A couple of e-wallets are also quite commonly excluded from accepting bonuses. The most often seen restrictions in this area are in the use of Neteller and Skrill. We’re not legal and finance experts, but our understanding is that it is tough to verify the identity of users of Skrill and Neteller, or rather, it is possible to use them anonymously. This might be something you – as an honest player – would love to file this in the Not My Problem file. Sadly, money laundering, identity theft, and fraud are very much the problem of everyone in the online casino industry and all their customers. ID checks are boring, but they’re an important part of keeping the gaming industry legit and above board. Please don’t try to get around them. This restriction will frustrate a lot of players though. Neteller and Skrill are excellent online payment systems and there’s no suggestion in any of this that they aren’t themselves completely legitimate companies that you should be happy to use. Hopefully, this is something of a temporary blip, and the sites that you use should offer you a number of other options to get money into and out of your account. And in this version of our bonus, we meet our first restriction: the maximum amount. Almost all bonuses will also have a minimum amount that must be deposited to trigger the bonus too. Commonly this is £10. Bonuses that include bonus funds and free spins might trigger the free spins part of the bonus with a smaller deposit, usually £5. Already things are starting to get more complicated, and you haven’t even clicked through to the main terms and conditions. So let’s take a look at how this all works. Whose Cash is Bonus Cash? When you make a deposit with this offer – and throughout this, we will use an example of a £10 deposit – you will receive £10 from the casino. But is that money yours? Well, yes, and no. Bonus funds are often treated differently from the “real money” that sits in your cash balance. In our example restrictions, you can see the phrase “wagering from cash balance first”. That means that if you believe you have £20 in your account, £10 of which comes from the casino, you’ll have to spend all of your own £10 before you can even start to use that £10 in bonus funds. And the other restriction we see in that first sentence is where things start to get really exciting. The wagering requirement is the biggest part of any online casino bonus. It is the thing that casino players complain about most bitterly and most often. It is probably the thing that the casino industry is most keen that non-regular players do not know about. You may also see the wagering requirement referred to as “play through”. That is why the terms “wagering requirement” is used in that front page description, and, in fact, throughout the terms and conditions. It is used because it is not clear. What it should say is “spending requirement” or even “loss requirement”. Because a wagering requirement is the amount of money that you must bet at a casino before you can withdraw any money from a bonus or that you have won with that bonus. It is normally written as a multiple, and that multiple generally refers to the amount of the bonus, though you should check because sometimes it is calculated on the total of the bonus and your first deposit. Funds are generally held in two balances in your account, a cash balance and a bonus balance, it is only once you have completed the wagering requirement that the money from your bonus balance will be transferred to your cash balance where it can be used without restrictions. So, in our example, we have received a £10 bonus. But in order to convert that bonus money into cash that we can withdraw we need to spend 40 times that amount first. That means a simple £10 bonus needs £400-worth of play to redeem. Wagering Requirements – which balance? Another restriction on our example bonus is which balance is used. So, when you play the money in your cash balance will be used first. But, our wagering requirements, in this case, are calculated only on bets made with the bonus balance. So before you can start to work off that £400 in play you need to spend your own £10. And you need to spend it all because there will almost certainly be another restriction in the terms and conditions that will not allow you to withdraw any money before you’ve completed a certain amount of play, or made extra deposits. It’s extremely unlikely – and for obvious reasons – that you’ll be allowed to deposit £10, collect a £10 bonus and withdraw your original £10 to play with just your bonus funds. But never mind, you’ve got your £10 in bonus money and you love all sorts of games, so it’s going to be an absolute pleasure to spend someone else’s money playing those games, and maybe picking up some winnings along the way. It affects how the money you spend on each game at a casino will be counted against your wagering requirement. The most restrictive type of weighting will only apply money spent on a small list of games – often called “promotion games” in the small print – towards your wagering requirement. More common though is to find a list of games across a casino site with different percentages marked against each game. Again, that’s a lot of rules about how you can spend this free money you were promised. Good news for slots players. But, have no doubt about this, some very clever mathematicians will have worked out how to set up lists like this so that they benefit the casino the most. Even relatively new online casino players will quickly spot that games that have a very high return to the player – for example, blackjack – have a lower weighting. And games that are very popular are also limited. Back with our hypothetical bonus of £10, we’re going to pretend that we’re massive roulette fans and want to play that game to pay off our wagering requirements. We’re already looking at wagering £400 – from our initial £10, however long that takes – and now we find out that only 10% of what we spent on our favourite game will count. Yes, your maths isn’t wrong, if you’re a roulette fan that means that you need to wager £4,000 on that game – only from bonus funds remember – to convert your bonus into real withdrawable cash. Free spins are also commonly limited to a list of games but may be playable more widely with some restrictions on which games can be played. As we’ve seen, jackpot games are often off limits for wagering requirements. It’s obvious why. A player who turns up and collects a bonus and then wins several million pounds on a single spin is not a great business proposition for a casino. So these big wins might be out of reach for now. You might also find with a bonus that your maximum winnings are limited in any case. In fact, you might find that your betting behaviour is also regulated. Our example then warns us that “bonus betting and winnings” are capped. That’s on the front page, and you need to click through to find out exactly how this applies. A bet limit of £5 is not uncommon, and, you might find that there are different bet limits on different games. And you can be sure that the clever mathematicians have been doing the sums that mean those limits work to limit your winnings. The way these limits are phrased is not always clear either. “Conversion” might be used as a way to explain an overall winnings limit. For example, a “conversion” limited to 5x the initial bonus, means you might be able to “win” thousands of pounds from your initial bonus, but you will not be allowed to convert any more than five times that amount – in our example that’s £50 – into the real-cash-balance that allows you to withdraw the cash. A winnings limit might be expressed as a multiple like this, or it may be spelt out as a flat cash limit, say £100. Similar limits on winnings are often applied to free spins. These are most often written as a flat figure, like £200. There is often a time limit on a bonus. In some ways, this is a blessing, as restrictions and complications around bonus use can be so onerous that you’re just relieved to be out of the woods and playing a simple game with your own money. However, it’s something that you need to keep in mind. 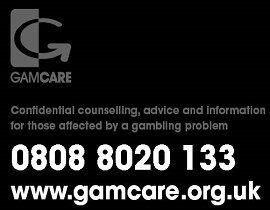 It’s something you should be particularly wary about if you think your behaviour might be approaching problem gambling – rushing to spend a particular amount of money may not be healthy to you. Typically, these are one of the easiest bonus restrictions to understand. You simply have a time limit – in our example, we went for two weeks – within which time you must either use or withdraw your bonus. At the end of that time, it will simply vanish from your account. So, easy to understand, but not always so easy to deal with. Don’t allow the disappearance of a bonus to pressure you to make bad decisions. If you do ever click through to the full terms and conditions on a casino welcome bonus then you may well find a final limit that says something to the effect that you must play fairly. There are a number of ways of phrasing this term: irregular play is also popular, and it’s very hard to define this in a way that makes sense. The phrase that will concern players the most is likely to be this one, “at the sole discretion of…” which allows the casino site to define what styles of play it considers to be an attempt by you to cheat them. The problem with these restrictions is that if you don’t know about them you could quite easily trigger them by playing in a way that you consider will offer you the best value. So they are worth knowing about. Let’s take a look at what these terms might look like. You are likely to see a warning about playing – possibly in concert with others – “in a way to guarantee profit regardless of outcome”. Baccarat bets on player and banker in the same round. Moving from a low weighted game to a high weighted game after large wins in order to clear wagering requirements. The second restriction is a bit more troubling because it calls into question the practice of winning big at a high-risk game, then gambling a lot of money at a low-risk game in order to meet your wagering requirement (£400 in our example) so you can cash out your winnings. This seems pretty dubious to us because surely that’s a sensible way to play. These restrictions, and the fact that they are enforced at the discretion of the site – although licensed sites allow you at least some recourse through a complaints process and ultimately through a regulator – could be used to stop players from cashing out winnings that they have made entirely legitimately and with no intention to “cheat” a site. In fact, they define “cheating” so widely that in our opinion they are dangerous, and we really do recommend players who sign up for a welcome bonus do so know what these restrictions are and play accordingly. You’ll have noticed that welcome bonuses are trailed as being for “new players only”. But that can be a more complicated deal than you imagine. The casino business is rife with big networks and sites that are branded with different names while offering what is essentially exactly the same service, including the same welcome bonus. 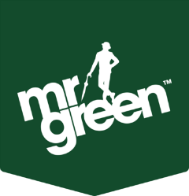 It is possible that you will try to claim a welcome bonus at a new site only to discover that you’re already on the company’s books as a player via another site, another part of their network (perhaps they run casino and sports book sites), or because the site isn’t actually new but is a re-badged old site. This shouldn’t be a problem for most players. However, it is worth bearing this in mind as you consider new sites and run around signing up wherever you see a tempting offer. Our advice is to sign up at good quality sites that you’re going to use for the long run rather than to chase bonuses around – you may want to change to a site later and miss out an even better bonus after shooting your bolt on an earlier bonus and then not even playing it through. If you take our advice and look at casino bonuses from the point of view of what they can do for the casino then it’s pretty obvious that a welcome bonus is designed to get you in the door, depositing, and used to all the lovely shiny games, chat rooms, loyalty programmes and more that this particular casino site offers. If it does its job it will leave you happy with the site – and not permanently alienated by heavy-handed enforcement of rules or completely unfair terms and conditions. Having done that a casino will be very aware that every player is just one click away from spotting another lovely casino site that offers an even better welcome offer. So they need you to stay. And the way to do that is to keep the bonuses coming. There’s really no limit to the form of these bonuses, so it isn’t possible to cover them in any great depth here, but we will look at some of the most common casino bonuses. The welcome bonus is always built around depositing. They want your money before they give you any of theirs. If you see a very large figure as part of a headline welcome bonus – say more than £1,000, or more than 300% – then it is likely that the bonus isn’t quite a classic welcome bonus, but a sequence of deposit bonuses. You can usually claim a welcome bonus in the usual way as part of these deals – and the 100% up to £200 we’ve used as our example isn’t untypical – but if you continue to deposit you’ll earn more as you go along. However, there will almost certainly be fairly rapidly diminishing returns on your deposits. First deposit: 100% bonus up to £200. Second deposit: 50% bonus up to £400. Third deposit: 25% bonus up to £400. Fourth deposit: 25% up to £400. That allows a casino to put up an even bigger headline figure, in this case, a very impressive sounding £1,400. However, those ratios are working hard against the player, who has to really raid the bank to pick up the full bonus by depositing £200 first time; £800 to pick up the second £400, and then two loads of £1,600 to get a quarter of that back each time. That’s a grand total of £4,200 in deposits to collect the maximum bonus. Then one must consider that all of this bonus money – the £1,400 – will almost certainly come with the same wagering restrictions that we’ve just covered. So, what you’re looking at to get the maximum juice out of that bonus is a £4,200 deposit sequence, followed by playing with £168,000 of bonus funds in a limited time. We’re not sure if that’s even possible. Don’t shy away from deposit sequence bonuses, they might work for you, but do be careful about trying to maximise your value from this or any other casino bonus. Casinos want regular play and they want regular deposits. To keep that coming you’ll often see regular deposit bonuses on particular days of the week or month. Mondays are popular for some reason, presumably to catch people starting their week. You may be encouraged to deposit on Fridays too, with a bonus that the site says will guarantee you a good weekend’s play. These bonuses tend to be much smaller than those welcome bonuses. They are more often – in our experience – expressed as amounts too: deposit £10, get an extra £5. This just reflects the reality of casino play for most players. Use these bonuses wisely, and time deposits you would have been making in any case rather than putting in money you wouldn’t have been using. Check the terms and conditions of these bonuses too. They will probably be covered by a blanket “wagering requirement” rule on all bonuses that will set the play through just as high as the welcome bonus is. The word free looks great to a consumer wherever they see it. Free gift, free draw, free bonus, and, our favourite free spin! 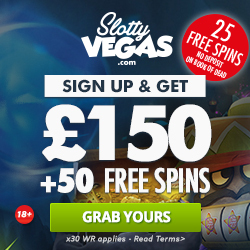 We’ve covered free spins while writing about welcome bonuses above. From a casino’s point of view, a free spins offer is a brilliant way to get players logging in to the site and playing games. And once you’ve got them doing that then you might get them to stick around, deposit some of their own money, and play for hours. So free spins bonuses are very common. Most casinos will offer free spins to their regular players. It’s likely to be limited to a particular game, but the number of free spins on offer can be quite high such as in our Spin It example above – 200 free spins can go a long way. Check out the terms to see what limits there might be on your winnings with free spins. If casino players dislike wagering requirements there is one thing they like even less and that’s losing. So, casinos might offer “consolation prize” bonuses to their players. The ones we’ve seen are always time limited – often playing on Mondays – and fairly limited in their scope. Say, claim back 25% of your wins on Slot Slot Slot on Monday. As ever, you should never take such promises at face value and you should always read at least the main points of the small print to see what restrictions there might be on this money – for example, is the money returned to you as your own cash or as bonus funds that you must spend a particular way and with wagering requirements on them. Bonuses can come singly, or they can come in fleets! The most common format for bonuses that are stacked up is as part of a Loyalty Programme. It’s impossible to cover every possible permutation of the loyalty programme, but the likelihood is you’ll see the sorts of bonuses that are offered elsewhere: free spins, deposit bonuses, loss returns, free entry to tournaments, and the like. As you move up in a loyalty programme you can expect to get bonuses that are more like a VIP programme – and sometimes they are badged that way – and more related to real-life benefits like account managers, priority contact numbers, access to new parts of the site. This guide has, we hope, covered most of what you will expect to find labelled as a casino bonus. Welcome bonuses are the most common bonus, and they’re aimed at potentially the most vulnerable players – those who know least about how casinos operate. Nothing we’ve written here is intended to either put you off gambling online or to put you off claiming bonuses. However, antithetical to normal wisdom though it is, it might sometimes be worth turning bonuses down. And the best way to determine that is to remember one of the first things we said: Casino bonuses serve a purpose to the casino. And if you think that that purpose – getting you to sign up, getting you to put money in your account, getting you to play regularly, getting you to deposit regularly – is starting to outweigh the benefits that you get in the shape of money, free-spins or whatever then you should decline the bonus. Most bonuses offer some sort of a good deal. Almost no bonus will get you rich though. And perhaps the best way to consider most bonuses is as a free pass to take a look around a site because once you start to worry too much about money and bonuses you can end up in trouble.